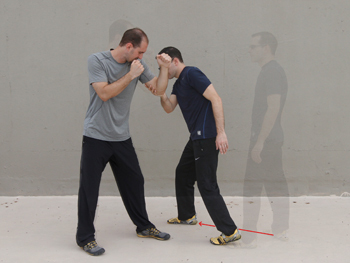 Learn to successfully defend yourself against any unarmed attack. 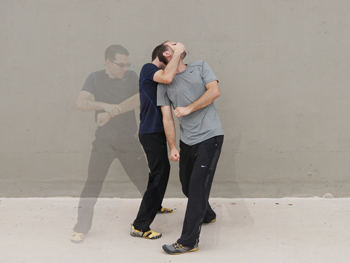 The most efficient, effective and proven techniques, training methods, and strategies to defend against any unarmed attack. From beginner to advanced. "I have studied martial arts and self defense for about 20 years now including multiple weapons, CQB, Jeet Kune Do and Wing Chun...In my opinion, this is the most practical, down to earth book on martial arts I've ever read. I have a small library of martial arts books, so that's saying something...It brings beginner and advanced together into every technique on every page. Everyone has something they can learn here." 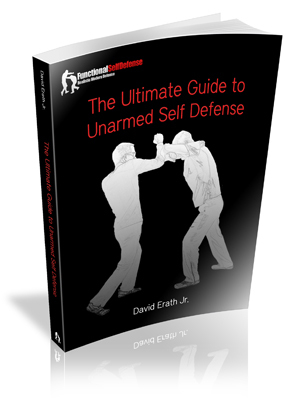 "David Erath Jr.'s "Ultimate Guide to Unarmed Self-Defense" is a thorough and mature treatment of the topic. I write this review as someone who has been involved in martial arts in various forms since the early 1990s. This is important because I started in a pre-Internet era in which "Black Belt" magazine was profiling ninjas and "experts" of dubious origin, where you could send a check to Midwestern addresses to be included in secret martial societies, before mixed martial arts exposed the limitations of style-based training. Now let's contrast with Mr. Erath's work..."
"Mr. Erath provides a thorough and helpful study of self defense...if you are committed to developing real functional self defense skills, this text is a must have. It is the best self defense book on the market." "This is the best self defense book I have ever read. The techniques are sound, the strategies innovative, and the "Fundamental Five" can be beneficial to anyone with any martial experience or none..."
"Fantastic self defense book. The author really nails the essence of Self Defense...In summary: If you want to become effective in self defense, then this book is a must to read AND implement in your training." "I have an extensive back ground (over 40 years) in Karate, Escrima, Wrestling, Boxing and Reality Based Self Defense. There are too many books and DVDs on the market that are pure garbage. This book is not one of them.The information and technical instruction contained within is top notch..."
"I have many martial arts books and by far this one is the best one I have ever read or purchased." "So far this is the best book on self defense I have read, and I highly doubt I will find another book that is better." The Ultimate Guide to Unarmed Self Defense is a comprehensive guide to the most efficient and effective techniques, training methods, and strategies required for functional self defense. If you like this website, you'll love the book, regardless if you're new to self defense or an advanced martial artist. Beginners will find everything they need to learn unarmed self defense, and advanced martial artists will find new techniques and training methods more effective than anything they've ever learned. In addition to physical techniques, awareness and prevention are also covered in great detail. Techniques and training methods are presented as taught in private lessons and hundreds of easy to follow photos with directional arrows and ghost imaging make learning from the book easier than ever. The Ultimate Guide to Unarmed Self Defense also includes chapters on environmental applications, physical and mental fitness, and frequently asked questions. You will not find a book that is easier to learn from. *Note: The e-book version of the Ultimate Guide to Unarmed Self Defense is a PDF e-book, optimized for printing or viewing on a desktop, laptop, or tablet. It can be uploaded to an e-reader (Kindle, Nook, etc. ), but due to the large number of images, viewing on a full sized screen is ideal. I chose to use the PDF format instead of a .mobi or other e-reader format in order to maintain the quality and layout of the images for instructional purposes. Due to the high number of high quality images, the book is 123MB.